After feasting on the buns at Sally Lunn’s Historic Eating House & Museum, I began the day with a tour at the Roman Baths. 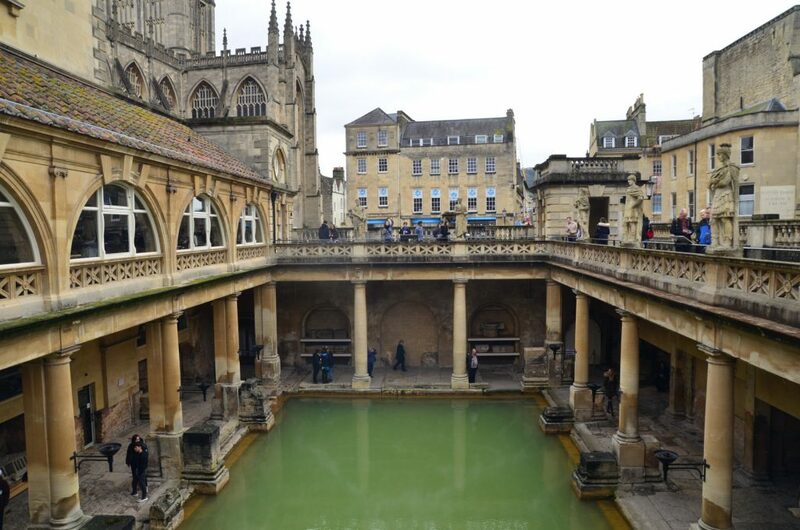 Remember, if you haven’t seen the Roman Baths, then you haven’t been to Bath, Somerset. From outside, the building that houses the Roman temple and bathing complex looks ordinary. Nothing about the high walls hinted the Britain’s only hot spring. 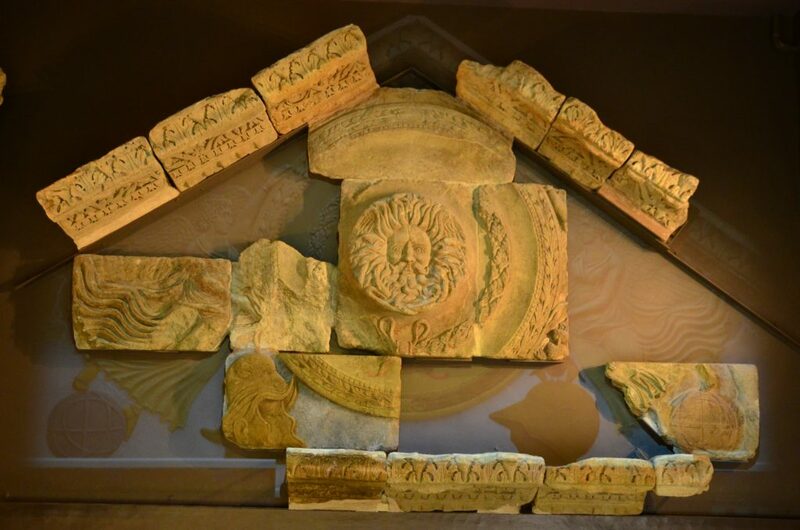 But let it be known now that the Roman Baths is one of the best museums that I have visited. It might not be as big as the museums in London, but most importantly, I got to appreciate the Roman Baths better through the exhibitions, displays, interactive and audio guides. 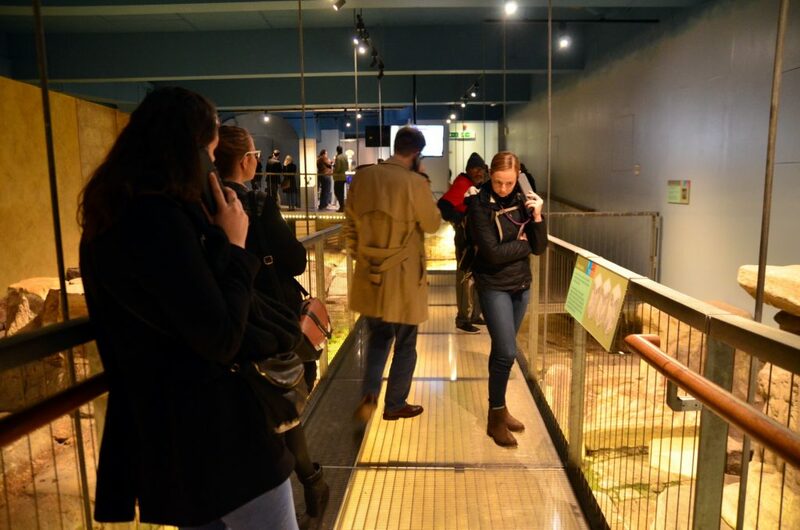 The audio guides come in 8 languages and is included in the entrance fee. If your kids are tagging alone, there’s an interactive audio for kids too with fictional Roman characters to keep the kids interested throughout the visit. As I punched in the numbers according to the exhibits, I was fed with historical information of the Roman Baths. The overview of the Roman Baths displayed at the entrance. 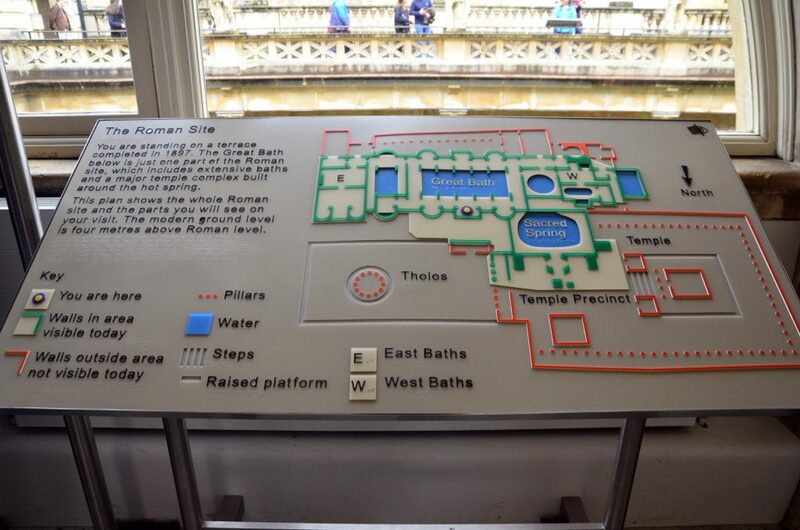 I spent between 3-4 hours exploring the Romans Bath guided by the audio guide. It was longer than I thought I’d spend at the Roman Bath. All because the whole story on the Roman Bath get more interesting as I went further. From the entrance, I walked around the terrace above the swimming bath. 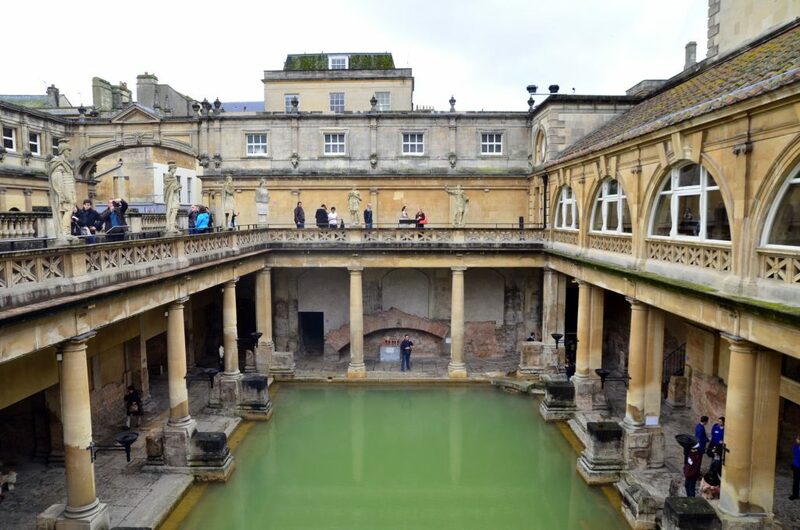 The terrace was completed in 1897 when the Roman Baths was first open to publics. On the terrace barricades stood the statues of the Roman governors of Britannia and the emperors related to Britain such as Julius Caesar, Claudius, Vespasian, Hadrian and Constantine the Great. Before making the exit into another the indoor section, there was a good view of the swimming bath below with the Bath Abbey as the background. 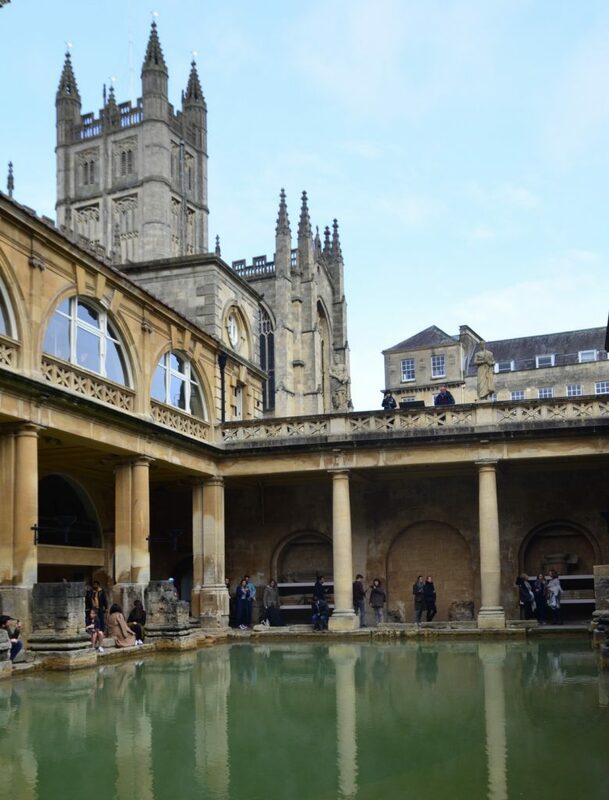 It was said that people from all over the world visited the Roman Baths, the Temple of Sulis Minerva and the Sacred Springs. 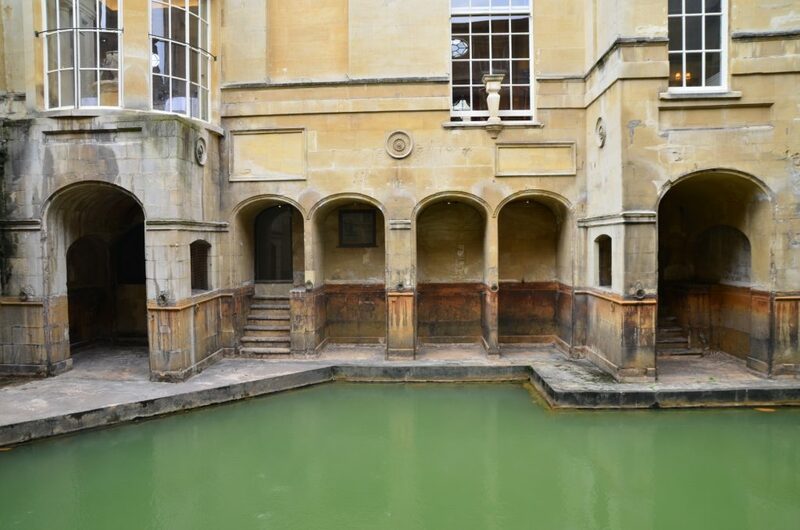 It was believed that the spirit of the goddess of Sulis Minerva dwelt in the Sacred Springs and the hot water was used to supply for baths. Since little was left of the temple, pieces found by the archaeologists were put together and the missing pieces projected by a projector. It was a cool idea for a history junkie who would gasp and make sense whatever being said by the audio guide deciphering the designs of the pediments and the Gorgon’s head. 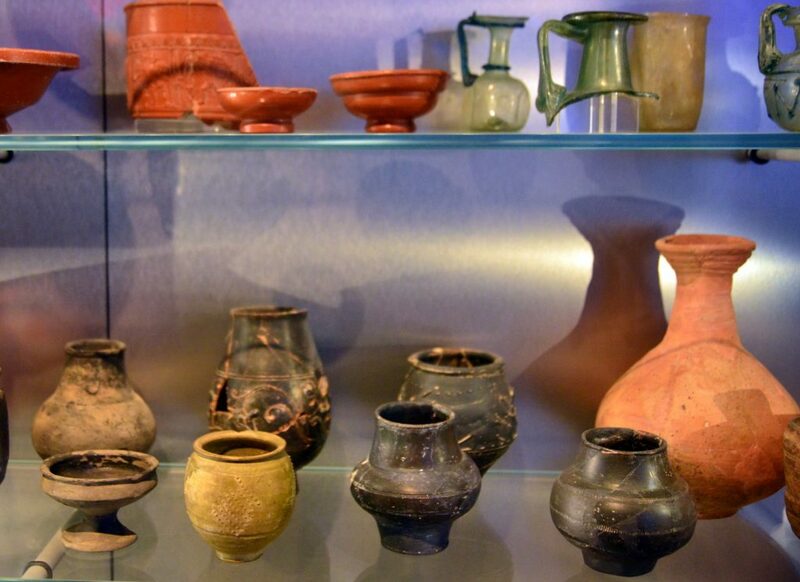 Also on display are the tools, cooking utensils, coins and goods from across the Empire. 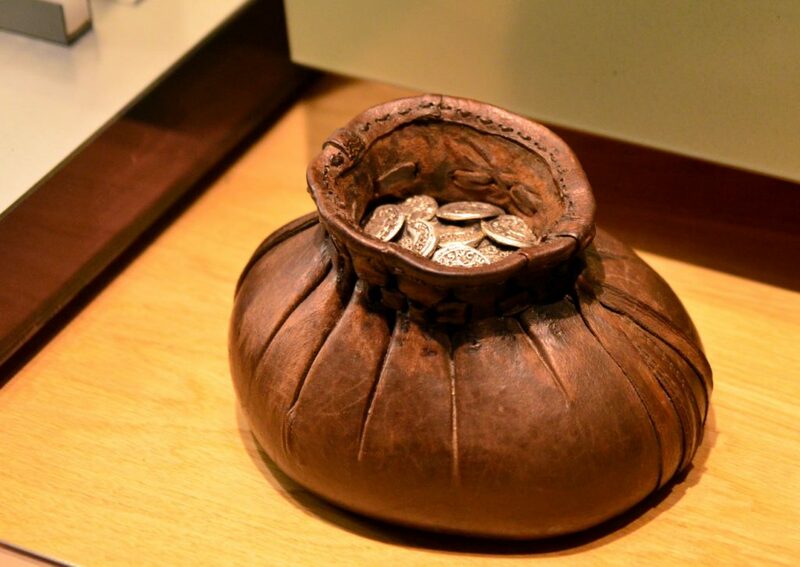 For example, a hoard of 17, 577 coins dating from 32BC to 275AD buried in the corner of a Roman building in 8 leather bags. The head of a lady believed to be the decoration of a wealthy lady’s tomb. 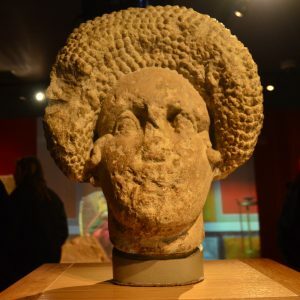 The hairstyle was fashionable in Rome in the later 1st century AD. 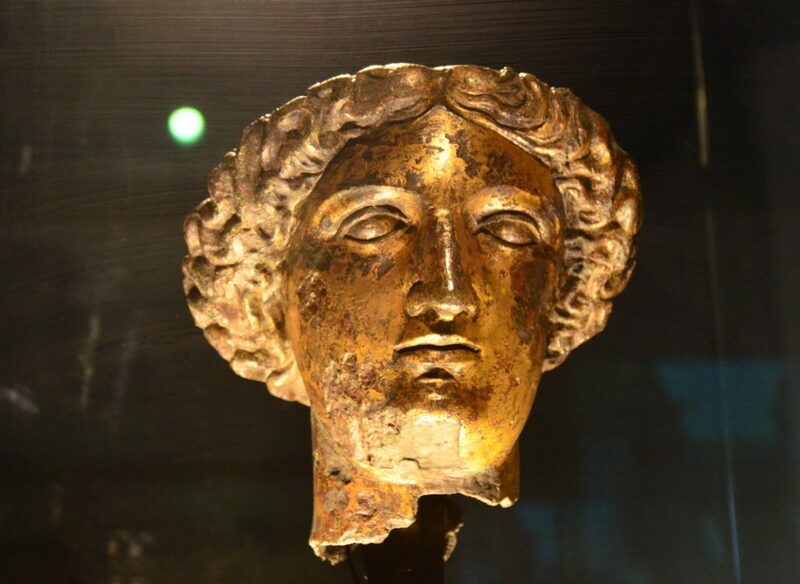 Gilt bronze head from the cult statue of Sulis Minerva from the Temple at Bath, found in Stall Street in 1727 and now displayed at the Roman Baths. The head could have been from the cult statue of the goddess which would have stood within her temple beside the Sacred Spring. If the theory were true, the head of Sulis Minerva was probably well over 300 years old when it met its demise. Despite having seen the Great Bath from the terrace earlier, I had spent a great deal of time photographing the Great Bath. Though I had to admit that afternoon time is not particularly the best time to photograph the Great Bath for the over exposed sky over the Abbey. If I had to re-do the whole thing again, I would not have a second thought to visit early in the morning or after 2pm. The Great Bath is a massive pool filled with hot spa water from the sacred spring. 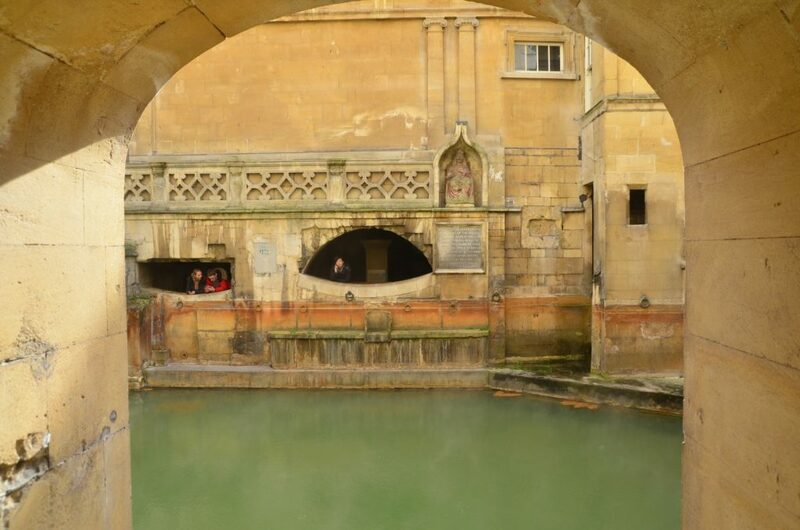 The Great bath is 1.6 metres deep making it ideal for bathing. There are steps leading down on all sides. You would not miss the Roman costumed character stationed at the Great Bath. At the end of the tour, there stood a spa water fountain, where you can taste the spa water containing 43 minerals. 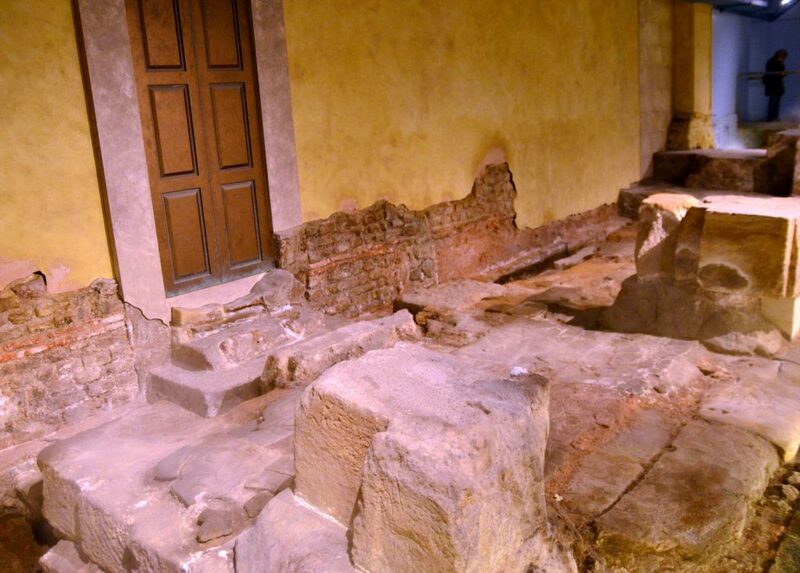 The Roman Baths are open everyday except for 25 & 26 December & 1 January. 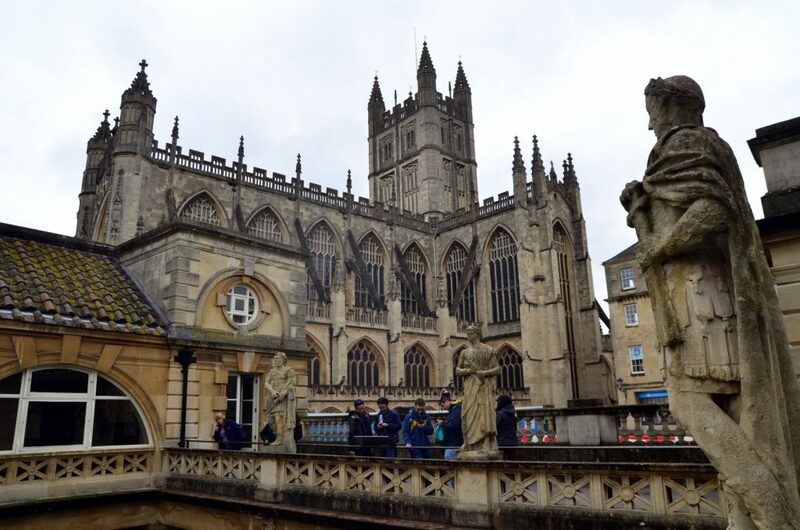 The visit to the Roman Baths is courtesy of Visit Bath, which had given me two media passes to enter all the attractions in Bath, Somerset. All opinions are my own and true based on my experiences.